The traditional image of a school bully was the kid threatening other kids into handing over their lunch money – but these days, bullying and school lunch have a whole other connection. While overt bullying of poor students by wealthier students is a problem at lunchtime in some communities, in other schools with multicultural populations, “lunchbox bullying” may occur when students bring food from their own culture which is unfamiliar to others. Then there is a less obvious, but still painful, kind of bullying in which students make loud derogatory (and often baseless) comments about the school’s hot lunch, even as other students are lining up to get that free meal. The stigma attached to school lunch, and its effect on students, continues to be a problem in our public schools. While some claim that true bullying is not as common in schools as today’s hovering “helicopter” parents fear, even the “bullying-deniers” admit that “our problem isn’t a world where bullies are allowed to run rampant; it’s a world where kids … are convinced that they are powerless victims.” As a new documentary called Bully is opening in theaters nationwide, the new term “upstanders” is entering the vernacular. 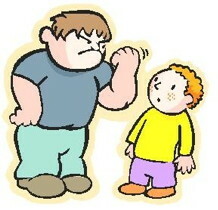 For most kids, it’s a big leap to imagine they shoulder any blame for doing nothing when they see bullies in action. “If they’re not the person shoving someone in a locker, or they’re not online spreading rumors, they think they are not part of the problem,” says Marc Skvirsky, vice president of the organization Facing History and Ourselves. Skvirsky helped create a study guide to accompany the “Bully” documentary. The guide focuses both on bystanders and what many anti-bullying campaigners call “upstanders:” kids and adults who stand up to bullying when they see it. Actions by San Francisco Unified School District to combat the stigma, and its associated opportunities for bullying, include installation of a $1 million swipe card/PIN number system to ensure privacy at cafeteria checkout. Schools have done away with a la carte snack lines that unintentionally created economic segregation by luring students with money away from the hot meal, isolating the poorest students in that line. New full meal choices at the middle and high schools offer every student a variety of daily specials. No one can tell, either at the checkout point or by looking at a student’s meal, who paid cash and who got a government- paid lunch. All of these efforts have worked to an extent, and almost 3,000 more middle and high school students are eating school meals now than several years ago. But the stigma has been around for decades, with students jeering at “mystery meat” or calling school lunch “welfare food”; sometimes it is hard to tell if students are rejecting the food itself, or the general “uncoolness” of school cuisine. Is it that kids don’t want to eat the food, or that they don’t want to be ridiculed for eating it? Students have some of the best insights into why school food is stigmatized, and what can be done to make it more acceptable. A group of students at San Francisco’s Galileo High School recently did a project on school food, and were kind enough to share their work with me. These students’ recommendations for ways to help reduce the stigma include encouraging every student to turn in a free meal application, so that those who do need the meals don’t have to self-identify as poor just by turning in the form. Across town at Balboa High School, a student group is trying to find funding for a healthy school lunch vending machine. This machine, piloted in spring 2011 at Lincoln High School, offers a complete meal of a freshly made sandwich, fruit, vegetable, and milk. Students use their PIN number to pay; only complete meal are offered, so the lunch qualifies for government payment for those students who get free or reduced price meals. During the pilot at Lincoln, the machine increased the total number of students choosing school lunch by an average 17%, and did not cause a drop in the number eating in the cafeteria, indicating that the machines can attract students who were not previously choosing school lunch. Lincoln students reported enjoying the novelty of getting their meal from a machine, and also felt the line was shorter than the cafeteria line. Although the machine offered the same sandwiches and side items available in the cafeteria, students believed the food in the machine was fresher and tasted better. It appears that the stigma attached to eating in the cafeteria does not apply to using the new vending machine, making this an excellent way to motivate students to choose school lunch. The cost to purchase and install one of the healthy vending machines is about $10,000, money which the SFUSD student nutrition department does not have in its budget; the department already runs a deficit of about $3 million annually. So students at Balboa HS have taken it upon themselves to look for the funding to install a machine at their school.